A moment that was particularly gratifying was her response to a question about her Goldman Sachs speeches which, infamously, were weaponized (a word she used a lot) by Bernie Sanders and his surrogates. She said, very simply, “They paid me. Men make speeches, and they get paid.” Toward the end, to one Swisher’s questions: “Are you running?” The short answer. “NO!” But she did say, “I’m not going anywhere.” We’re all sure glad about that! She says the current probe in the House of Representatives isn’t good enough. 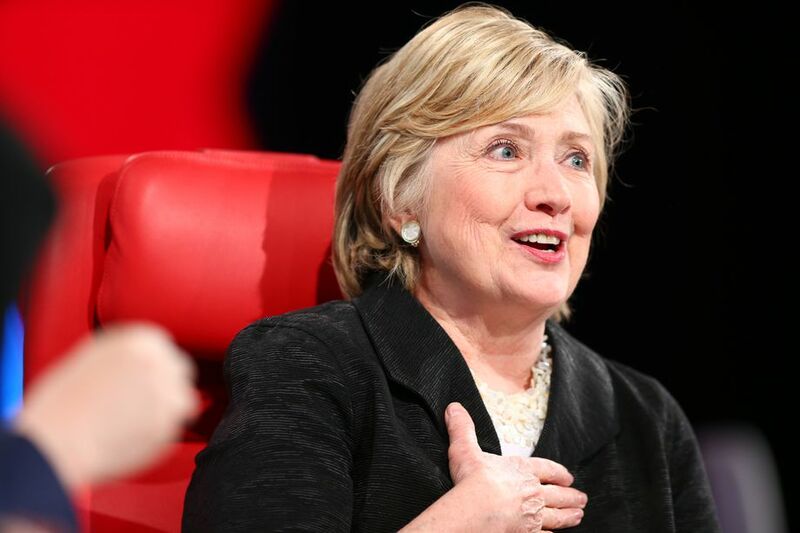 Hillary Clinton believes it’ll take a political thrashing before Republicans on Capitol Hill are willing to intensify their scrutiny of President Donald Trump and his administration’s potential ties to Russia. At the moment, the House and Senate — through the chambers’ intelligence committees — have started asking current and former White House officials to share more information about their communications with officials in Moscow. A related probe is under way at the FBI. But Clinton criticized Republicans in Congress, particularly in the House, for failing to probe the president deeply enough. A veteran of the bipartisan commission that reviewed another Republican in the White House — Richard Nixon — and the Watergate scandal, Clinton said onstage at the Code Conference that lawmakers should have formed a bicameral, bipartisan special committee to look into Trump and his administration’s conduct.